We have been creating successful marketing plans since 1987 for lenders and service providers in the private money, mortgage and commercial real estate finance industries. Read what some of our clients have to say about our efforts! Would you like to capture more media attention? …and much more that will be identified as we gain an understanding of your goals. Did yoiu know that, according to Google, 50% of B2B queries are made on smart phones? This along with the tremendous rise in voice search has big implications on how a digital strategy should be approached. The importance of an effective digital strategy for companies in the private money sector cannot be overstated. The competition is more fierce than ever as marketers struggle to develop the right content in the right format and get it to rank well in search. Therefore, it’s critical that your digital online marketing strategy performs well. The reason is simple. According to recent data, 88% of buyers research products and services online before making a decision. We help you understand how and where your clients and prospects do their research and on what type of device. Then we help you reach them through the channels where they are the most engaged and active. …and much more to ensure your online strategy is a success. Having a deep understanding of your buyer personas is critical to creating relevant content and designing a strategy for following up. Success comes from delivering the right message to the right audience using the best media. What social media platforms do your buyers and their influencers use the most? What interests them? What are their pain points? How do they make buying decisions? What criteria do they use in the pre-purchase phase of the sales cycle? These are some of the higher-level questions we address. Google Analytics and powerful website statistics plugins – We measure who is visiting your site, how they arrived, how long they stayed, pages viewed, impressions, clicks, and much more. SEO performance – We improve and refine your SEO in order to generate more traffic, leads and conversions. Social media tools – We check the progress of your campaign on social media platforms, utilizing the high-powered analytics that are available through LinkedIn, Facebook and more. Referral traffic – We make sure you’re maximizing these marketing opportunities by assessing how your external content is performing. Page and site activity trends – We examine what your traffic looked like before the campaign started and monitor it throughout the campaign to build actionable data and reporting. Website performance tracking – We compare all aspects of your website’s performance to those of key competitors. Additionally, we follow up at the end of the campaign with specific success measurements, complete with data-driven analysis. No guesswork – we’re results-focused and committed to giving you a simple and clear way to make sure we meet your expectations. According to a 2018 Gallup Poll, only 34 percent of employees are engaged in their jobs. Low employee engagement is typically a consequence of an unhealthy corporate culture driven by ineffective and/or toxic leadership. And, when you consider that low engagement is a leading killer of profitability and a drain on the bottom line, it’s no surprise that placing a focus on company culture has overtaken strategy as the number one focus of many CEOs. If you believe your culture needs to improve, contact Seroka today to learn how we design and build cultures promoting teamwork, productivity, continuous improvement and operational excellence. We focus on serving a national, mortgage, private money, commercial real estate and financial technology industry client base from our Midwest and East Coast offices. Pat’s two sons are part of the family business. John helps lead agency growth by developing and deepening relationships in the industries we serve and through strategic initiatives. Scott helps our clients fortify their brands and create the internal infrastructures necessary to maintain cultures of continuous improvement and operational excellence. The real estate lending industry has been rapidly changing for the past decade thanks to the steady stream of new technologies and products. Agility and new insights are now necessary to compete in this growing marketplace. Consumers and businesses now expect more lenders, service and technology providers. You need to respond aggressively to the increased competition you are facing. Your brand and marketing must take center stage and truly resonate with your target audience. At Seroka, we not only understand this shift, we’ve embraced it. That is why we’re best equipped to help you respond to your competition and reach your audience. We address not just your brand, but also your internal culture. Our expert support will improve your bottom line. We will show you the right path to meet your growth objectives and beat your competitors. Our approach is designed to meet your individual needs. Whether you are looking for comprehensive services, or help with a campaign on a short-term basis, we’re here for you. Our experienced team of real estate lending industry branding, PR, and marketing communications professionals can help you achieve amazing results. Put our 30+ years of experience to work for you. John Seroka is a Principal at Seroka. He began his career in the mortgage industry after graduating from college, working as a mortgage loan originator in the Los Angeles and Orange County markets. He joined the family business in 1996 and has taken the lead in growing the agency in the key vertical it was built on…the mortgage industry. John has been published numerous times in top industry publications including Mortgage Insights, Mortgage Banking, National Mortgage News, California Mortgage Finance News and others on various topics including brand and communications strategies, new technologies, social media, big data, Millennial outreach, inbound marketing, the new buyer path, mobile marketing and industry outlooks. He’s also been featured on Lykken on Lending and has spoken at many industry events sponsored by the Mortgage Bankers Association, the California MBA and National Reverse Mortgage Lenders Association. John is also the Chairman of the California MBA’s Mortgage Technology and Marketing Committee, providing leadership in disseminating the latest marketing technology trends and topics to the industry. Topics covered include social media, digital and mobile applications, predictive technologies, big data, marketing automation, CRM and much more through webinars and specialized forum calls. 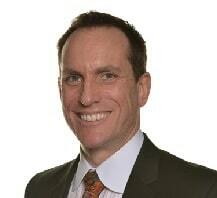 John plays a key role in driving agency growth. He leads the strategic direction and marketing initiatives that take the agency to the next level. John graduated from Marquette University with a BA in Business and Broadcast and Electronic Communications. His interests include nutrition, fitness and outdoor activities. When John’s not working, he spends time engaged in family activities, weight training, riding his bike or participating in other outdoor activities while enjoying Florida’s beautiful weather. Pat Seroka founded Seroka & Associates in 1987, the natural culmination to years spent studying why people select one brand over another and the motivations behind their brand selections when selling print and broadcast advertising early in his career. With Pat at the helm, the agency’s good reputation built rapidly, gaining national recognition in the mortgage arena through joint venture activities Pat created with the Mortgage Bankers Association (MBA). 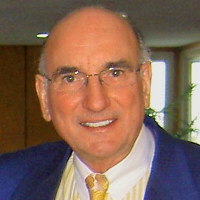 In the 1990s, Pat added a full-service Public Relations Division and an Interactive Communications Division to the agency. He also created the Homebuyers Information Institute, a resource for lenders that provided consumers seeking mortgages lending information, and operated it for eight years. In addition, he wrote, produced and directed a 30-minute television program entitled, “The Key to the Right Mortgage,” which was endorsed by the MBA and ran on PBS in the Midwest. Pat has been named Entrepreneur of the Year by Ernst & Young and Merrill Lynch. He regularly speaks at various national and state mortgage and banking meetings and marketing seminars, and his articles have appeared in Mortgage Banking, The Wall Street Journal, National Mortgage News, and many other mortgage trade publications. 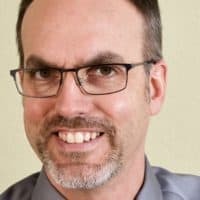 He’s a member of the Mortgage Bankers Association of America and the Independent Business Association of Wisconsin, and his agency is a Preferred Vendor of The Mortgage Collaborative. He and his wife reside in Brookfield, Wisconsin. Pat is also a member of the Porsche Club, holds a Competition Racing License for weekend fun, and enjoys boating and traveling. Amy views herself as an extension of each client’s marketing team. She has worked in public relations and advertising for 19 years, and has successfully managed accounts on a national, regional and local basis across a variety of industries. Her focus over the past 15 years has been primarily in the mortgage and fintech industries. 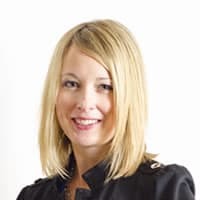 Amy has worked hard to develop strong, mutually respectful relationships with key mortgage media outlets and influencers, including MBA Insights, National Mortgage News, Rob Chrisman, HousingWire, National Mortgage Professional, MPA, Progress in Lending, M Report, DS News and more. In addition, she has worked with clients to secure coverage in national outlets including the Wall Street Journal, New York Times, Chicago Tribune, Los Angeles Times, Oprah Magazine, Real Simple, Good Housekeeping, Redbook, Fox Business and many more. Amy has extensive experience in virtually every area of public relations and marketing – from providing strategic counsel to clients, and conducting media interviews; to writing and placing press releases, feature articles, blogs and social media posts; to developing content for clients’ CRM systems to handling project management for marketing materials, brochures, social media, email blasts, white papers, case studies, interactive campaigns, e-newsletters, webinars, ads and more. She is a member of the Public Relations Society of Wisconsin and earned her B.A. in Communications at the University of Wisconsin – Whitewater. Most of Amy’s free time is spent with her husband on the sideline of a basketball or football game or track meet cheering on their son or driving him to and from practice. She also enjoys walking their Boston Terrier, Braxton, entertaining, traveling, and spending time with family and friends. Scott is a Principal and Chief Brand Strategist at Seroka. He joined the agency in 1998 as a production and traffic manager after leaving a senior management position with Landmark Credit Union. Scott is primarily responsible for the agency’s brand development and culture division. Some of his notable accomplishments include building brands and cultural infrastructures for numerous companies in the mortgage and manufacturing industries, ranging from global Fortune 500 organizations to smaller, privately held firms. Scott sits on the Board of Directors at the Independent Business Association of Wisconsin as well as the Waukesha County Business Alliance. He earned his Train the Trainer certificate in Leader Effectiveness Training through Gordon Training International. Scott has been a featured speaker at a wide range of corporate events, trade shows and for several chambers of commerce, and has been featured in Entrepreneur Magazine, Mortgage Professional, National Mortgage Press, Corporate Report Wisconsin, BizTimes and numerous other publications. Scott has also been a guest lecturer for The Milwaukee School of Engineering’s Entrepreneurial Graduate Studies program. He earned his B.A. degree at Cardinal Stritch University, and currently resides in Oconomowoc, Wisconsin with his wife and daughter. In Scott’s former life, he performed at The Second City improvisational theater in Chicago and was a stand-up comic in the Chicago and Milwaukee areas. Mary-Iris began her career in the financial services industry, working as a Registered Representative and later in the marketing department for a large, national mutual funds provider. Eager to put her passion for writing to work, she then moved to the agency side where she held creative and account services roles for firms located in Chicago, Pittsburgh and Buffalo, NY. Her financial services background served her well as she worked on client accounts in the banking, mutual fund, investment and retirement services sectors. While raising her family, Mary-Iris grew her freelance business, providing consulting and copywriting services for a variety of clients including Citizens Bank, Mellon Bank, Betsy Ann Chocolates, The Cleveland Clinic, Ascensus Retirement Services, StanCorp Financial Group and the CFA Society. 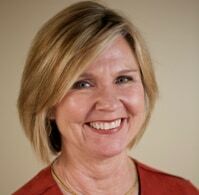 She returned to work outside of the home as a senior copywriter for a credit union where she wrote copy for print and electronic media that promoted a wide range of financial products including checking and savings accounts, student and mortgage loans, home equity loans and lines of credit. Mary-Iris joined Seroka in 2015 to lead the agency’s content development and copywriting services. She holds a BA in Journalism, with a concentration in Advertising, from Marquette University. In her spare time, Mary-Iris enjoys traveling with her family and friends, trying new recipes, wine tasting, practicing yoga and doting on her rescue dog Jack. Lori started out at a web agency in the early 2000s, where she self-taught SEO, PPC, and email marketing tactics while implementing traditional methodologies for strategy. Today she has the privilege of working with a number of strong B2B and B2C brands in building and executing a successful digital marketing strategy that is focused on generating a positive ROI. Her core personal value of lifelong-learning allows Lori to stay on top of the technological advances and how they can be applied to an effective marketing strategy. 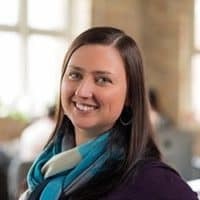 In addition, she is passionate about sharing the many creative and strategic digital marketing lessons learned with people and organizations through various speaking engagements and as an adjunct professor at UW-Milwaukee. As a strong believer in networking (both digitally and traditionally), Lori has served on numerous boards including the Better Business Bureau of Wisconsin. When she’s not working or teaching, you can often find Lori at an ice rink playing hockey with her husband or walking her two dachshunds through the park. Seroka's disciplined process of using research, drilling into the core of our brand and refreshing it resulted in a renewed focus and restored enthusiasm among our entire staff. Seroka's team took our refreshed brand and immersed it into our marketing efforts which included collateral materials, social media campaigns and they provided unique ways to enhance our brand’s perception and awareness.